Earlier this year, researchers showed that bees recognize individual faces because they can make out the relative patterns that make up a face. 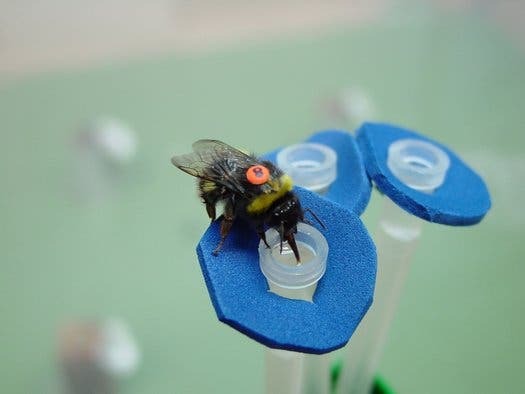 The new research further suggests bees are highly sophisticated problem solvers, and that better understanding of their brains could improve our understanding of network problems like traffic flows, supply chains and epidemiology. The research will be published this week in the journal The American Naturalist.